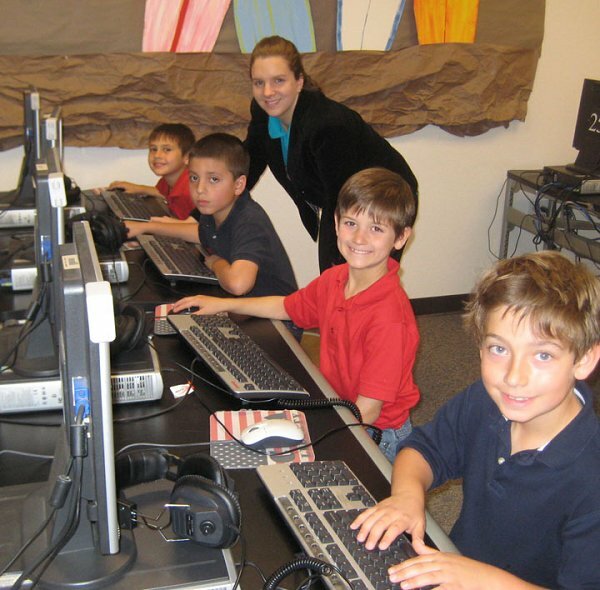 Chandler Unified School District has nine traditional academy programs. The CTA schools offer a solid foundation of fundamental and higher level thinking skills primarily through direct instruction. The Language Arts Curriculum utilizes the Spalding phonics program. They offer Saxon Mathematics as the math curriculum. Additionally, the math instruction is advanced by one grade level. All traditional academies also offer special area classes such as library, music, physical education and technology. The students are also given the opportunity to participate in extra-curricular clubs or activities either before or after school. The CTA schools offer high quality learning experiences designed to build a solid academic foundation in literacy and mathematics for all students K—6. CTA schools are committed to providing a safe, structured learning environment where expectations for academic success are high and pride is evident. The programs emphasize the development of respect for others and personal responsibility. CTA students follow a uniform dress code that helps in maintaining an orderly environment, free from distractions. The children wear red, white or navy blue polo shirts, and khaki or navy pants, shorts or skirts. Shoes must adhere to the heel and flip-flops are not allowed. We request families register at only one CTA Traditional Academy. Please contact one of our five traditional academies regarding registration.